inno Group is one of the leading strategic innovation management consultancy practice operating in nearly all-European countries. inno Group has offices in Karlsruhe, Rostock, Berlin, Sophia-Antipolis (inno TSD) and Stockholm. inno offers a multi-national, highly qualified team of more than 50 consultants. inno specialises in innovation management issues and technology transfer, university-industry cooperation, innovation start ups and development, IPR support. 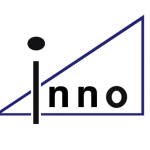 inno runs a patent commercialisation agency in Germany, and enjoys privileged access to more than twenty leading Universities and research institutes in Europe (partly including guaranteed first access to invention disclosures). Over the last 20 years inno has combined highly specialised expertise, creativity and pragmatism to assist more than 500 clients all over Europe, and has been instrumental in raising a total of some 50 million Euros in research and commercialisation budget for research institutions. One of the core activities of inno is to provide management, dissemination and exploitation support to scientific leaders of complex inter-institutional and trans-national R&D projects, with particular focus on ICT, this includes dissemination and exploitation of research results, standardisation, user involvement, working group support , exploitation, animation of working groups and panels etc. inno has been coordinating 10+ FP6/FP7 funded projects, this includes Integrated Project, STREPs and support actions. For example, inno currently coordinates an IP BUTLER focused on development of a context aware Internet of Things system for SmartLife application www.iot-butler.eu . inno has worked on 3 projects for the Unit “Complex Systems and HPC” of DG CONNECT. inno also leads studies for the EC such as analysis of effectiveness of R&D to support competitiveness of European micro- and nanoindustry, impact assessment of FP6 NMP programme etc. Examples of industrial partners and/or clients of inno: Alcatel, Honeywell, Ericsson, Gemalto, EDF, ST Microelectronic, Telecom Italia, Shell, Total, Arcelor Mittal etc. Responsible for WP1 “Preparatory work and kick off meeting”. Lead the WP4, Outreach and Coordination.